This is pretty exciting. This is our first time trying out products from the Cetaphil Baby range. I’m a strong advocate of using products that are ultra gentle, but effective skin care products for my child because his skin is so much more delicate than an adult’s. I usually go for products that are free from parabens, preservatives and other additives. 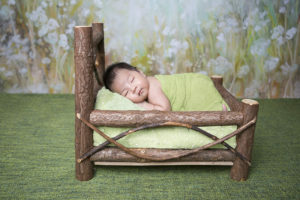 If it’s recommended by pediatricians – all the better! Recently, trusted skincare brand, Cetaphil launched their baby range and boy am I pretty excited about it. You can read more about their whole range of products here. I can’t wait to try them all but the first one I tried is the Cetaphil Baby Gentle Wash & Shampoo (here). This is enriched with glycerin and panthenol to gently cleanse and moisturise without drying or damaging your baby’s skin. I like how this works so well on his hair, making his hair and skin really soft and super kissable. I can’t stop sniffing him after his baths, he’s always got this fresh baby scent after washing with Cetaphil Baby. This product also provides moisture to his hair. Cetaphil Baby’s ingredients are pretty good! I’m feeling like he’s in good hands with Cetaphil Baby. 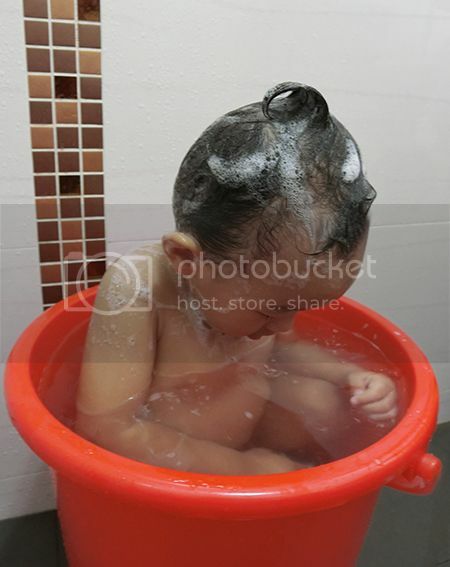 Daniel loves bath time especially when we give him the red pail to play in. :P So in he goes into the red tub! Look that’s him with his hair all foamed up with the Cetaphil Baby Gentle Wash & Shampoo. From a clear, transparent liquid, the product foams up quickly. I love how easy it is to bathe him with an all-in-one product. Just 1 product for his whole body! But I know, there’ll come a time very soon when he’ll need separate products for hair and body. He was curious what we were using today since it’s different from our usual, so I gave it to him to check out. Had to stop him from trying to fill it with bath water!! LOL. This is tear-free if you’re wondering! A baby’s shampoo kinda has to be. I don’t want him crying once the shampoo gets into his eyes. That’ll be dreadful. 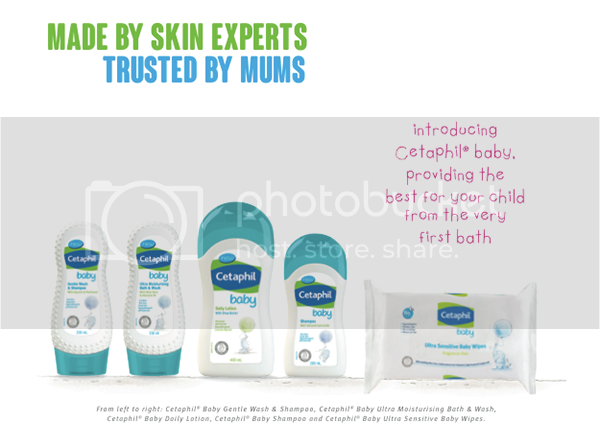 If you haven’t tried out the Cetaphil Baby range, you should totally check it out. It’s pretty affordable at $12.95/230ml for this product reviewed in this blogpost or you can redeem for some great samples here! Alrighty, till my next review on Cetaphil Baby, hang tight and have happy days! 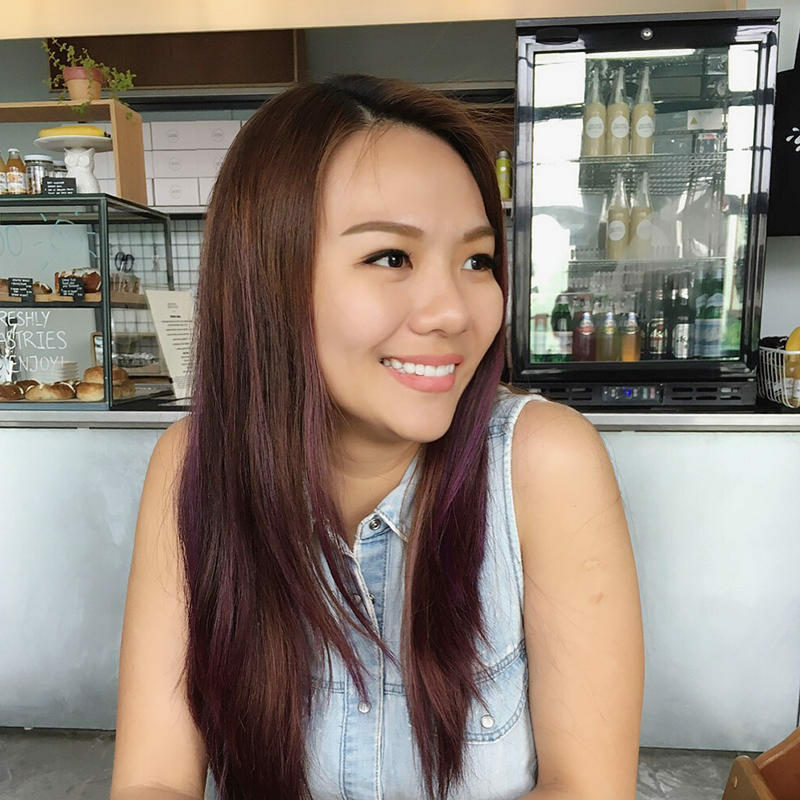 Cetaphil is the No.1 Dermatological Skincare brand in Singapore^ and being a skin care brand, they recognise the importance of ensuring your childs’s safety and protection. 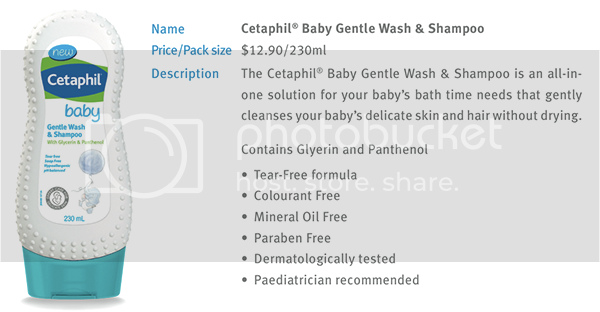 All the Cetaphil Baby Products are also tear free, soap free, hypoallergenic and PH balanced.